Contrary to popular opinion, heaven isn’t reserved for the morally upright, the good citizens, or those who are genuinely sincere. 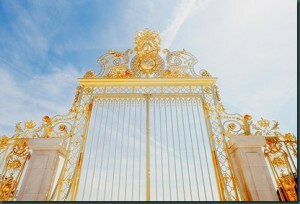 Heaven isn’t guaranteed for “good” people any more than it is barricaded to “bad” people. “Lord, who may dwell in your sanctuary? Who may live on your holy hill? He whose walk is blameless and who does what is righteous, who speaks the truth from his heart …” (Psalm 15:1-2). I do speak the truth from my heart, well, most of the time. As long as I’m comparing myself to other people, I might come up looking reasonably righteous. But if I’m comparing myself to God’s perfect standard? “For I tell you that unless your righteousness surpasses that of the Pharisees and the teachers of the law, you will certainly not enter the kingdom of heaven.” (Matthew 5:20). The Pharisees were a group of especially-devout religious people, known for their strict adherence to the laws of God. And Jesus is saying I’m going to have to do better than that? Better than the holiest of monks? Better than the most devoted of saints? Ouch. This test is a little harder than I thought. Glancing down a few items, I notice the exam gets more specific. O.K., I haven’t broken that one. But what in the world is the “*” for? Some sort of loophole? Oh, here it is. “*Anyone who looks at a woman lustfully has already committed adultery with her in his heart.” (Mt. 5:28). Oh my. That’s another strike I suppose. Rather than try for an A+, I think I’m going to have to settle for a passing grade. As long as I do better on the rest of the test, I should be alright. On down the line through commandments and attitudes, I begin to see a startling truth. I’m going to fail. It’s impossible to pass this test. The exam’s final line is less of a question and more of a statement. All have sinned and fall short of the glory of God. * (Rom. 3:23). Not another “*”. Do I dare look? “*Whoever keeps the whole law and yet offends at one point, he is guilty of breaking all of it.” (James 2:10). God, what am I going to do? I can’t possibly meet your standard! I’ve already blown it! I need mercy! “God made Christ, who never sinned, to be the offering for our sin, so that we could be made right with God through Christ.” (2 Cor. 5:21). Even after all the wrongs I’ve done, God can make me “right?” Is that what it means when it says Jesus died for my sins? So, I can’t pass the exam on my own, but if I have faith in Jesus, I actually receive righteousness? I don’t have to earn it somehow? “For it is by grace you have been saved, through faith—and this not from yourselves, it is the gift of God…” (Eph. 2:8). A lot of people are trusting in their “efforts” to get them to heaven, believing that their good deeds can outweigh their bad ones, or that God will let them in because of their religious sincerity. But those items don’t count for anything on God’s exam. He’s looking for perfect righteousness. And the only way to gain that is to ask for mercy through Jesus – to believe in him and begin following him. If you’d like to learn more, read John 3 in your Bible. Jesus is the only one good enough to pass God’s test. So why not let him take it for you?